This one measures 18" clasp to clasp with another 2 1/2 inches added with the pendant. The necklace consists of twisted black glass beads alternating with beige pearl rounds. 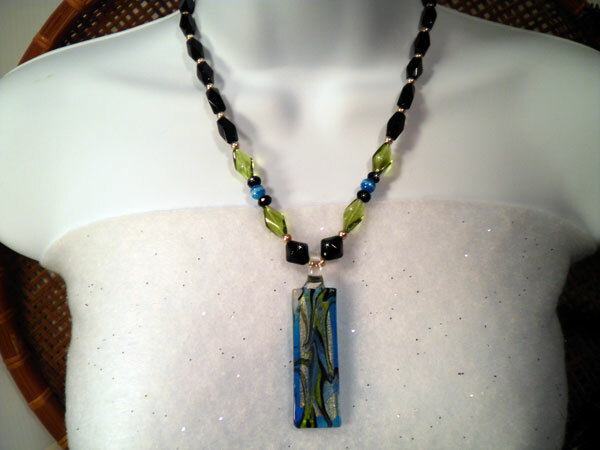 Olive twisted glass beads, faceted black glass rondelles and turquoise glass rounds accentuate the beautiful glass pendant with all of the same colors. This one has a more formal look to it.